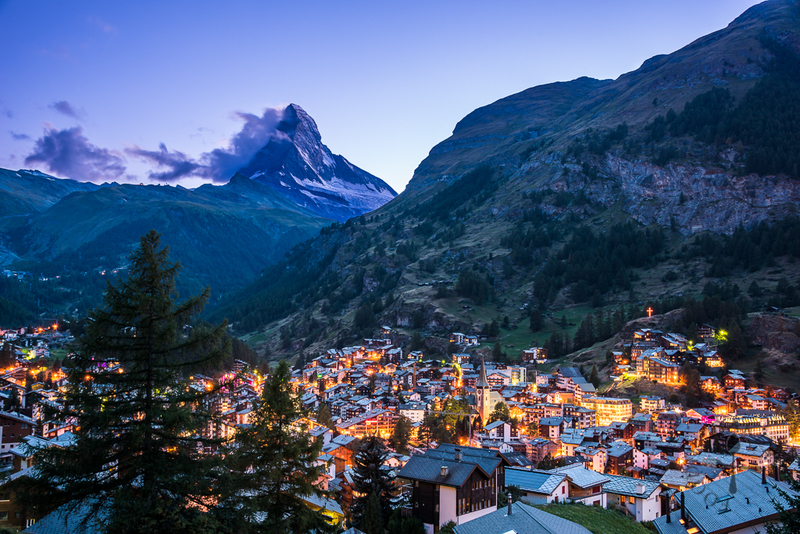 Here’s the continuation of our 2-day trip at Zermatt! 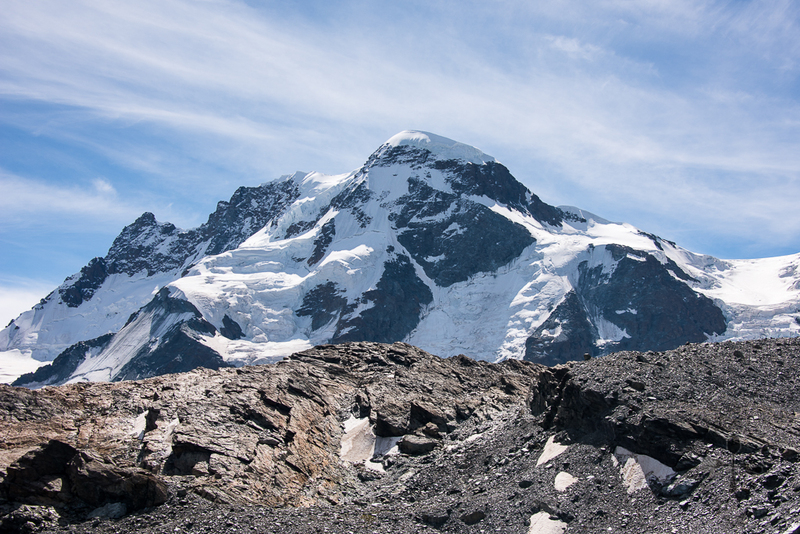 After a tiring hike the previous day, we went for a more relaxing pace the next day, and head up to the highest cable car station in Europe – Matterhorn Glacier Paradise. The Matterhorn Glacier Paradise valley station was a little bit far from our accommodation, so we took a public bus to the station. 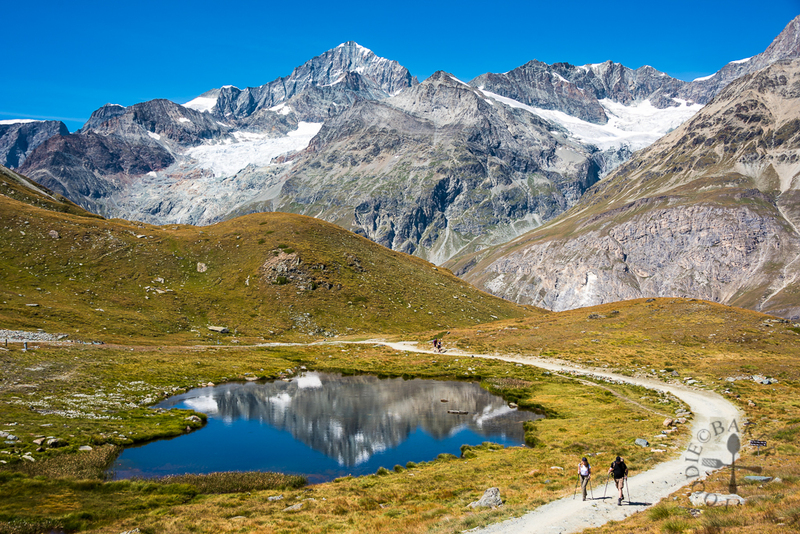 There, we spotted huge groups of travellers embarking on their hikes and walking to the station to take the gondola. 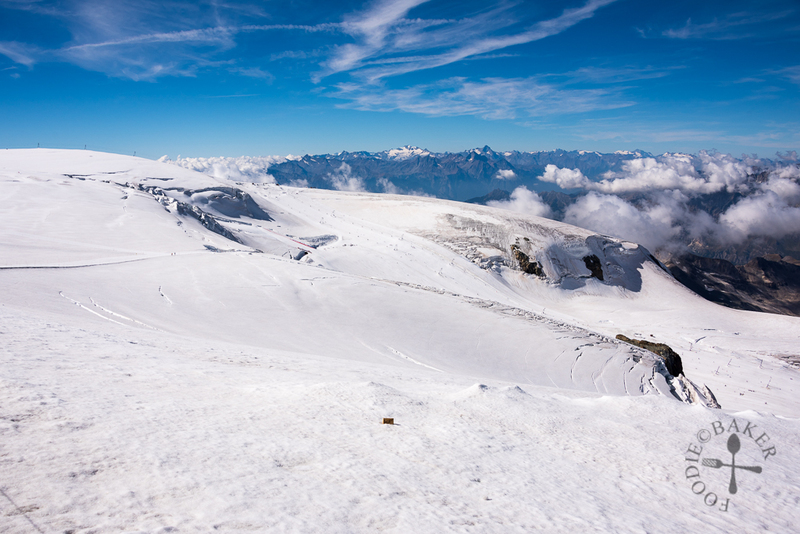 There are a few intermediate stops during the ride, and I advise you to use the public toilets at Trockener Steg because it is the last intermediate stop and the toilets at Matterhorn Glacier Paradise are chargeable at CHF 2. 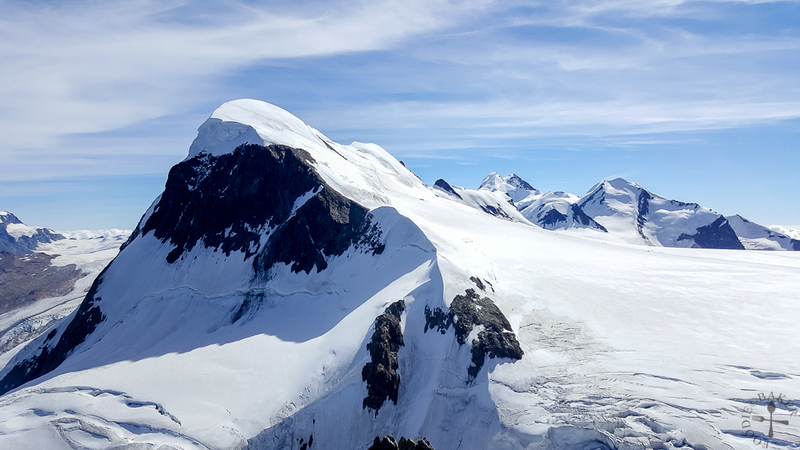 After using the public toilets at Trockener Steg, we changed to a 60-seater cable car up to Matterhorn Glacier Paradise. The total journey took almost 1 hour, but brought us up from 1,640 metres above sea level (MASL) to 3,883 MASL. 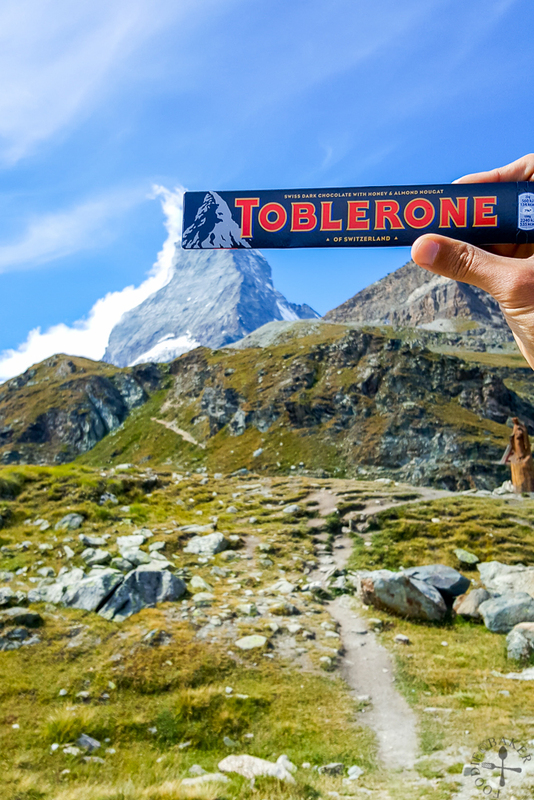 Now that we had reached Matterhorn Glacier Paradise, it’s time to explore the area! 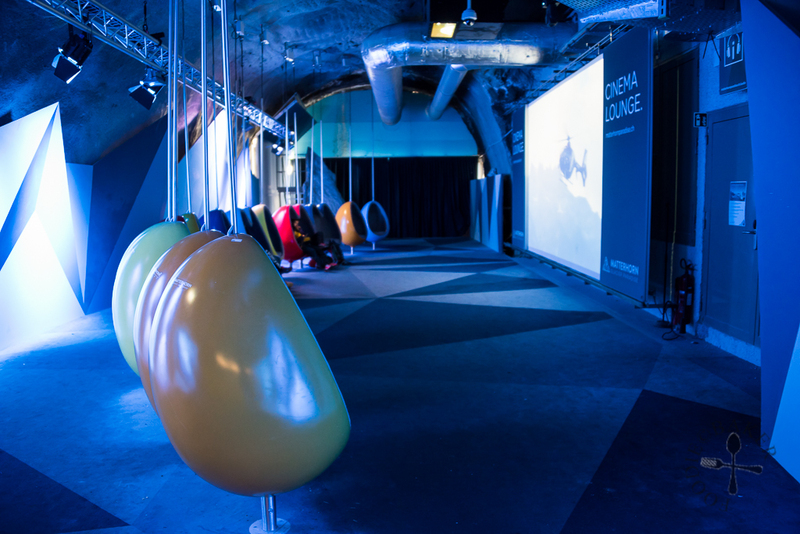 The first area we walked past is the Cinema Lounge – a huge screen with cool-looking cocoon seats that can accommodate 16 people. Film clips featuring the alpine world, flora and fauna, freeride skiing and mountaineering are shown on the screen, which were a joy to watch. We almost didn’t want to get out of the cocoons because the seats were heated! The viewing platform (accessed via the summit lift) was our next stop, which offered a superb panorama views of the area, including a shot of Zermatt town! Zoomed in for a better look! After having so much fun outside, we went back in for more fun at the Glacier Palace, with plenty of interesting ice sculptures to take photos with, like a gigantic throne that we can sit in and even a life-size ice car like the one above! 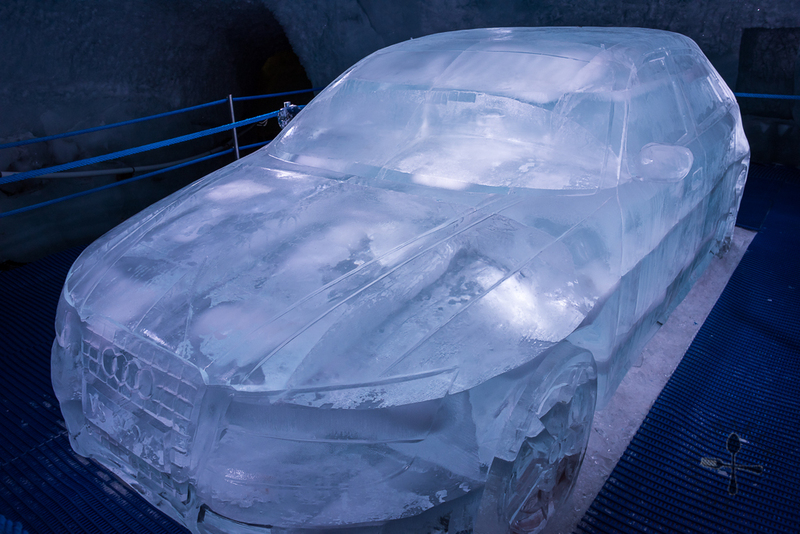 (This was a collaboration between Matterhorn Glacier Paradise and Audi at that time, not sure if the car is still there now though.) However, I must warn that it is freezing cold inside (even colder than outside because of the lack of sun)! We grabbed a cup of coffee at the café to warm ourselves up then head down to the next place! From Matterhorn Glacier Paradise, we took the cable car down to Schwarzsee, a lake which lies at the foot of Matterhorn, at 2,552 MASL. 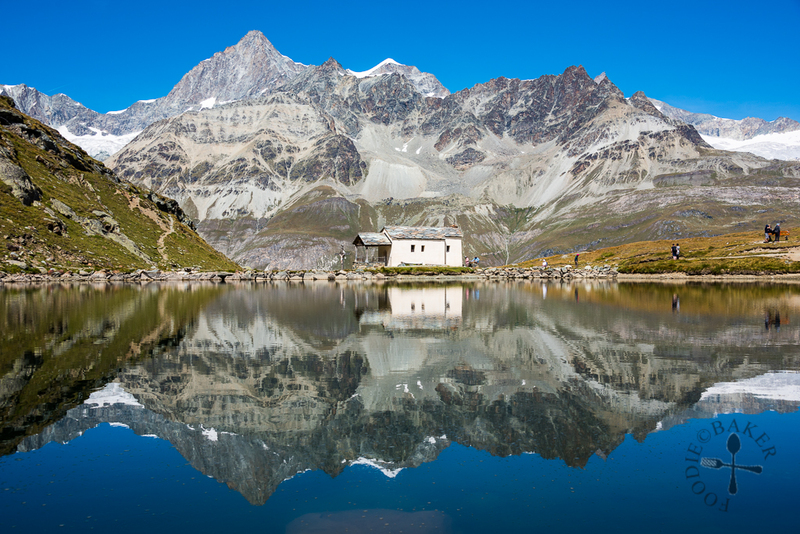 Known as “Black Lake” in English, the surface of Schwarzsee is very dark in colour, which gives it a mirror-like quality that reflects the scenery perfectly. Overwhelmed and a little tired from yesterday’s hike, we only hiked around Schwarzsee, instead of embarking on a new long hike. I sat down near the lake and started having my sandwich lunch. Interestingly, there is a small chapel next to the lake,which is dedicated to “Maria zum Schnee” (“Our lady of the Snows”). 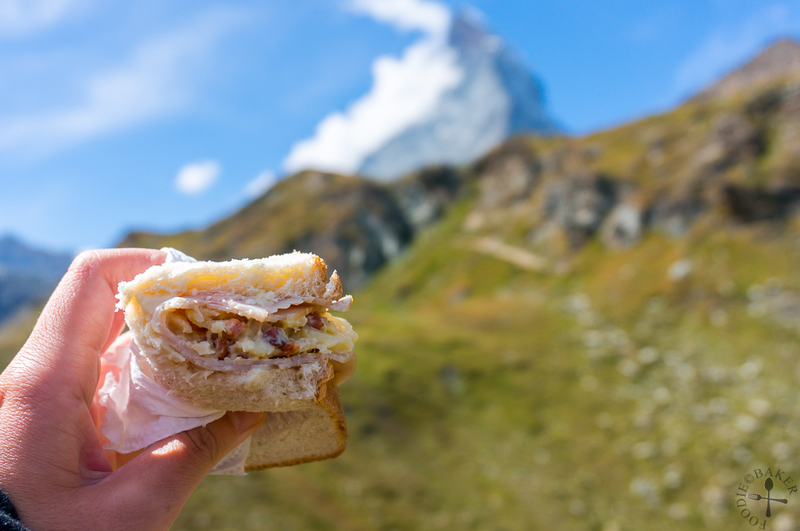 The chapel was apparently built in the early 18th century – according to legend, two people from Zermatt who lost their way in thick fog on the Theodul Glacier promised that if they were saved, they would build a chapel there. Today, the chapel is a popular and important place of pilgrimage. 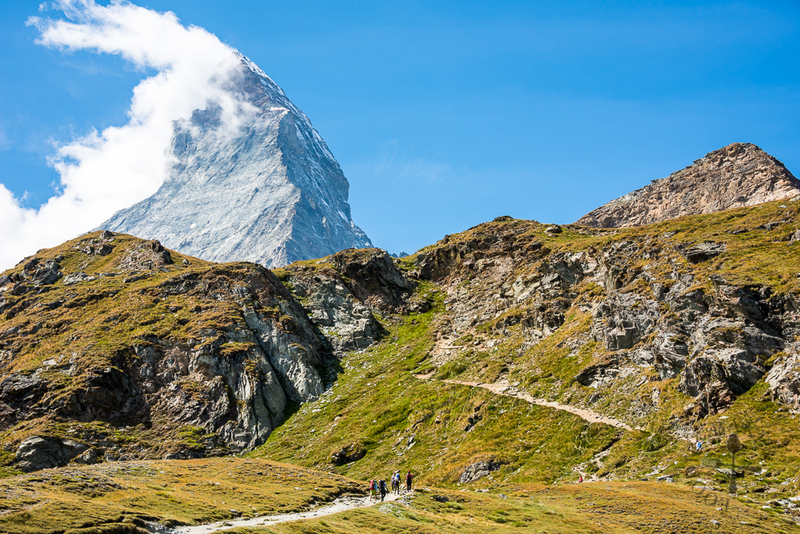 Majestic mountains – a view that is simply too impressive! 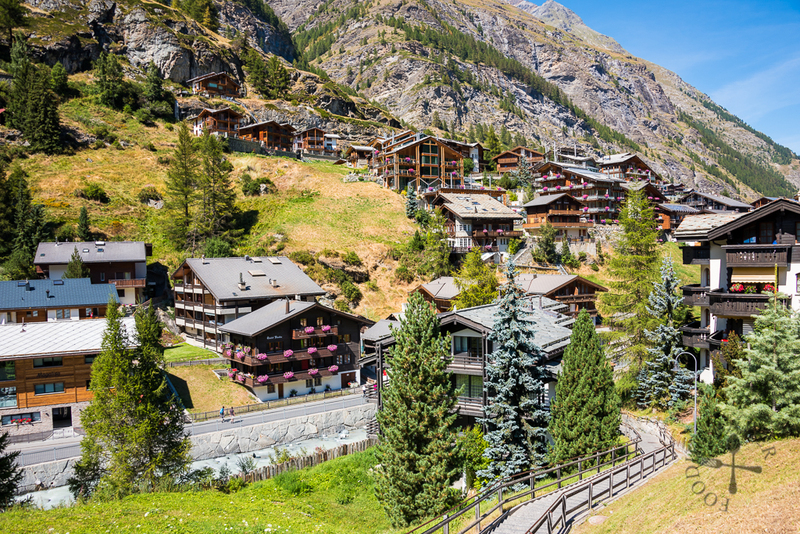 How can I missed out our exploration of the most important village in this area – Zermatt? 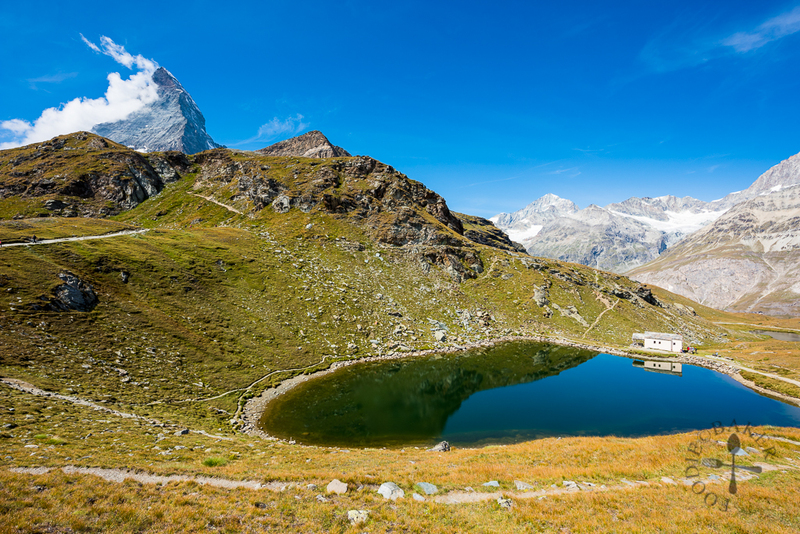 No matter which lake or mountain one is planning to visit, the starting point, more often than not, is always from Zermatt (1,620 MASL). 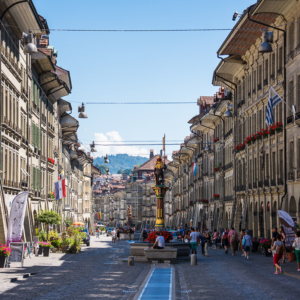 Everything from eateries (restaurants, cafés, and bars) to lodging (affordable hostels and posh resorts) to shops are packed into this little village. 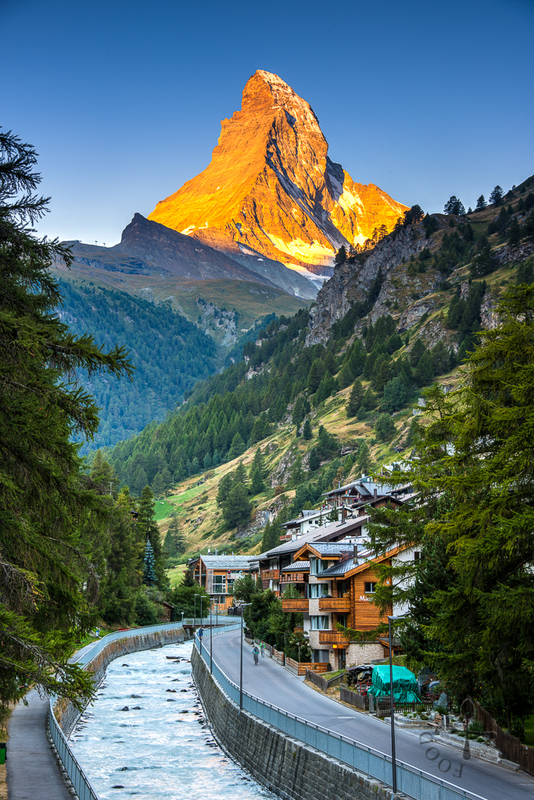 Zermatt has a population of about 5,800, but during peak seasons, the population can swell to several times of that! 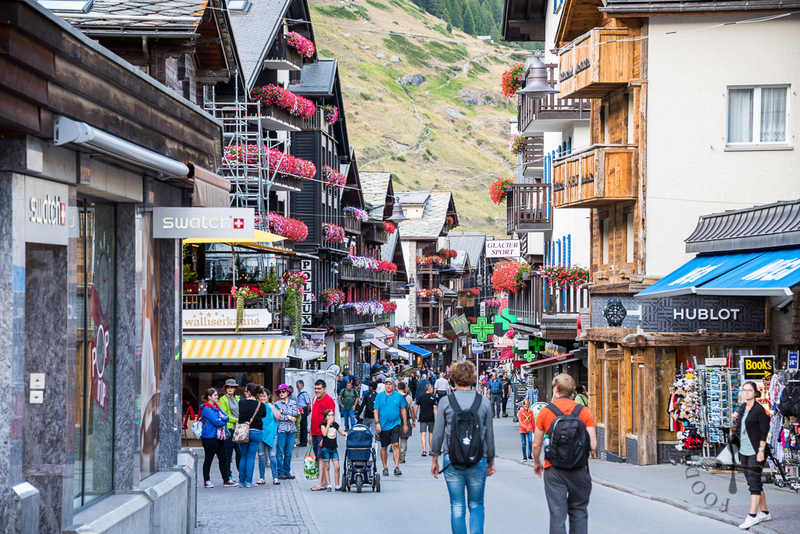 One thing I really love about Zermatt is that it’s a car-free village. 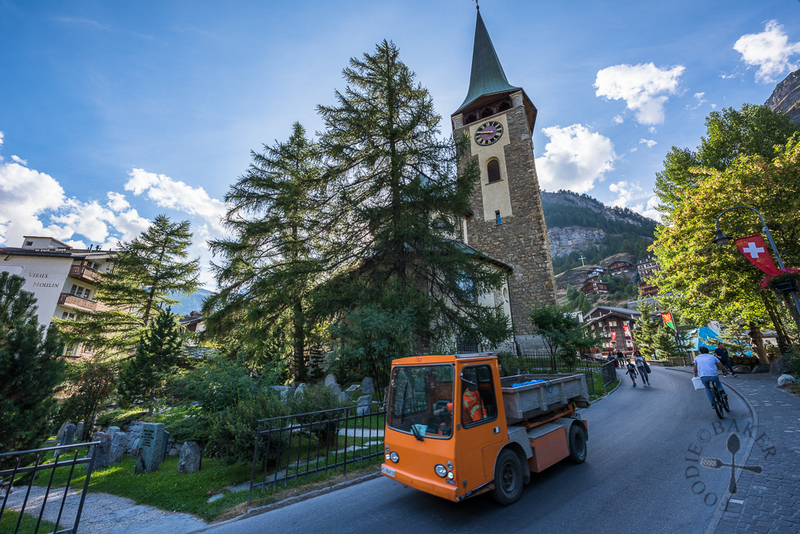 To prevent air pollution, almost all vehicles in Zermatt are electric vehicles, except for emergency vehicles. Access for private vehicles is allowed until Täsch, which is located 5 kilometres away. 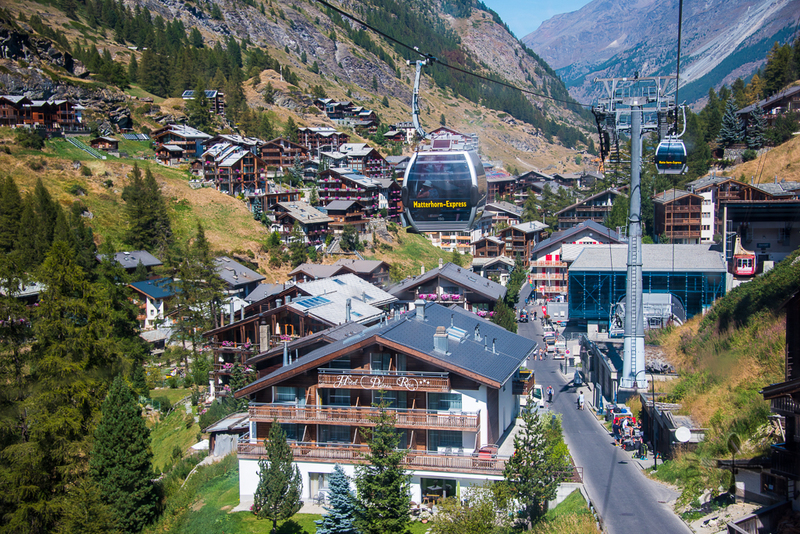 Travellers will have to change to a shuttle train in order to get into Zermatt. 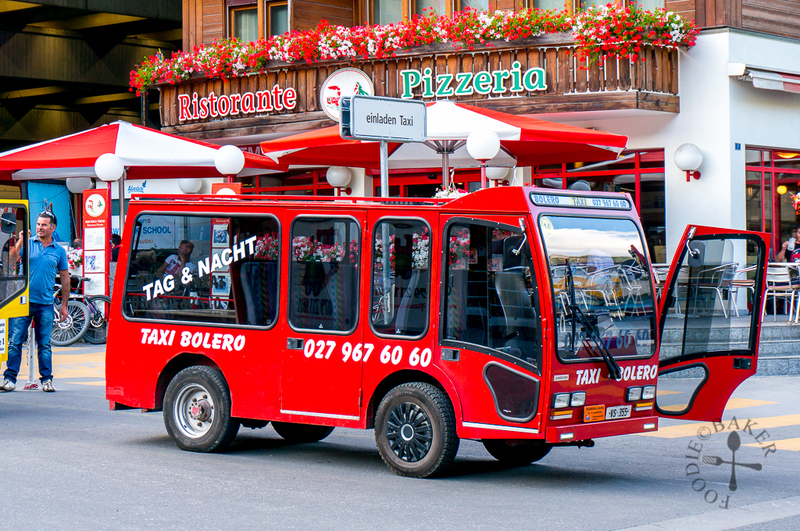 I love looking at these cute-looking vehicles whizzing through the town, carrying cargo or passengers. 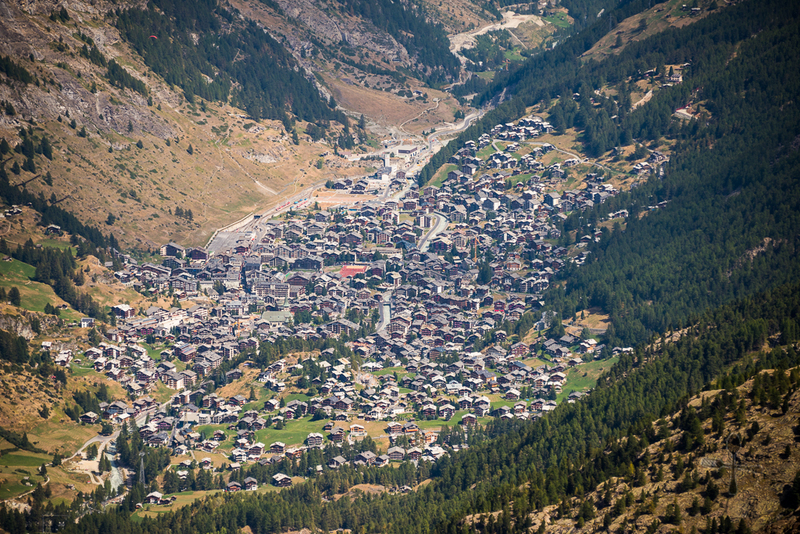 Zermatt is a pretty small village, so everywhere is easily accessible on foot. We only took a public bus in the morning to reach Matterhorn Glacier Paradise valley station. The Parish church of St Mauritius is an active church attended by locals and visitors from all over the world. The first church dates back to 1285 and it underwent several renovations to attain its current structure. Near the church there’s also the mountaineers’ cemetery, a tranquil site dedicated to all climbers who lost their lives while climbing the mountains around Zermatt. 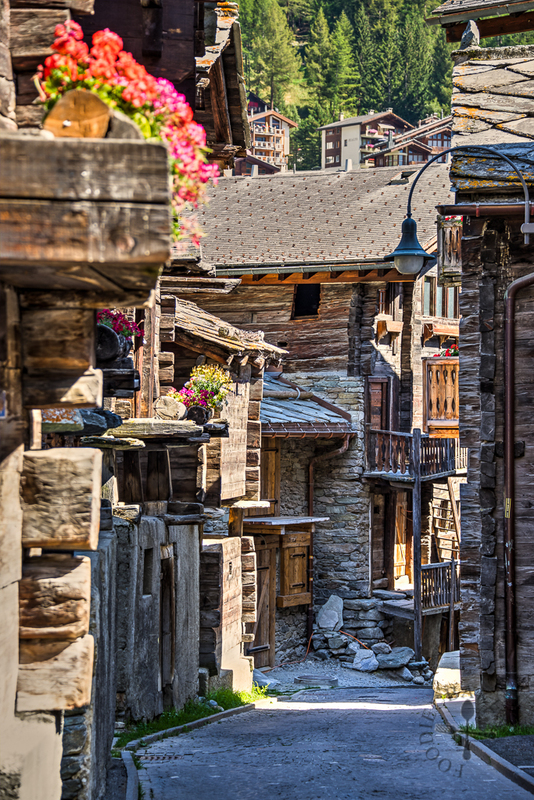 A place that I found incredibly beautiful in Zermatt is the Old Village, which is a small section in Zermatt made up of 30 buildings constructed in the traditional style. We first stumbled upon the Inderbinen Fountain, which was dedicated to Ulrich Inderbinen. 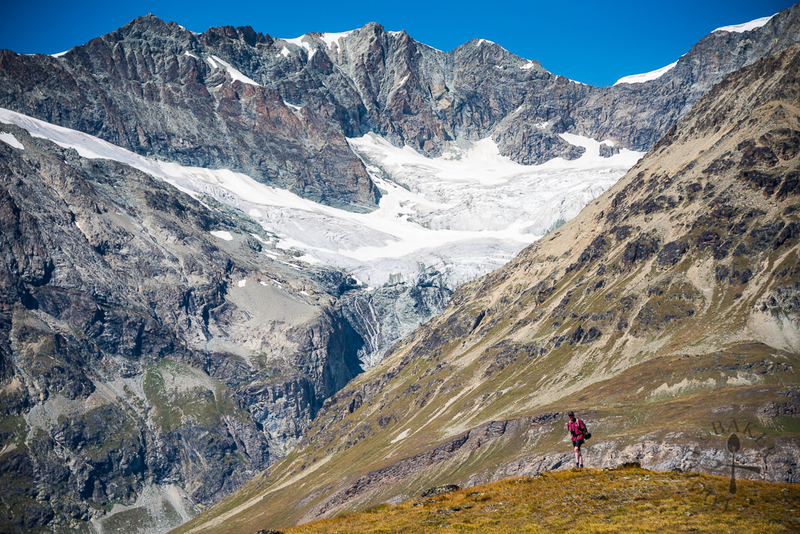 Ulrich Inderbinen was a Swiss mountain guide who had a passion for mountain climbing. 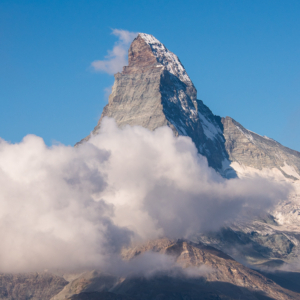 He had been to the top of Matterhorn more than 370 times and his last ascent was made when he was 90! Besides his personal achievements, he was also famous for his abilities to guide visitors safely to the top. The fountain was built in 2000 to celebrate his 100th birthday (he died 4 years later) and the water was super refreshing, so do bring a bottle there! Further up the slope from Inderbinen Fountain, we passed by several old houses that were constructed with stone slabs and wooden planks. There were barns, stables and a few traditional shops built for visitors to see, but unfortunately, none were open for visitors to enter. Nevertheless, it’s an interesting stroll and a unique photo point! And that’s it for our trip in Zermatt! 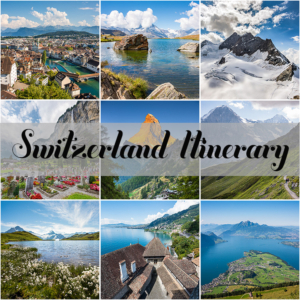 I will be continuing on our trip to other parts in Switzerland, stay tuned! 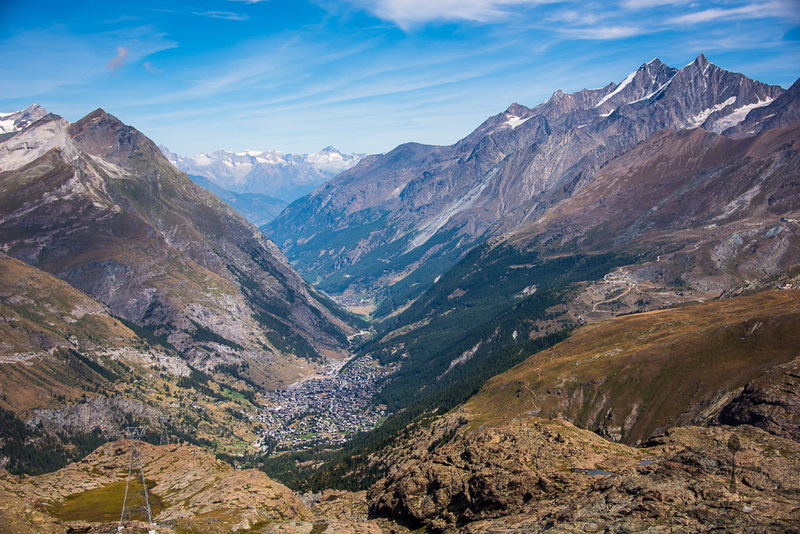 Full disclosure: We were hosted by Zermatt Tourism during our trip to Zermatt. All experiences and photos are still our own! I love all of your stories and helpful hints. I’m so glad I stumbled upon this. Would you mind sharing where that last photo of the town at sunset was taken? 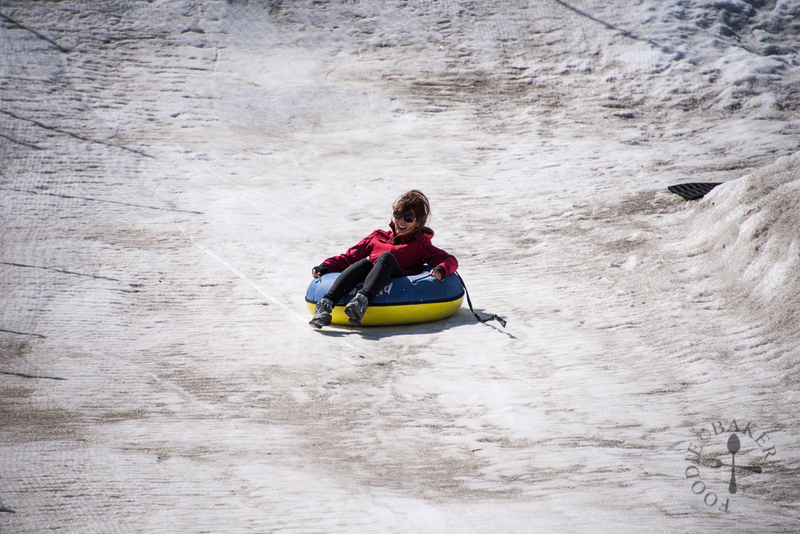 You are the traveling lady…always so fun visiting different places through your lens.